What is the latest date to pay by? The deposit needs to be paid upon registration to hold your spot. The rest can be paid out however you wish, up to the full balance being due 2 weeks before a camp session. We will offer specials throughout the spring, so keep an eye out! How big is the camp? In other words, how many kids total are in the camp for the summer? Last year we had just over 1100 day campers and over 560 overnight campers join us for the summer. (Averaged about 100+ kids each week for weeks we offered day camp and 80+ for weeks we offered overnight camp). All kids in Day and Overnight Camp get to swim daily for fun (weather dependent). We do offer Swim Lessons as an Add On… for an additional fee, campers are taught a 40 minute lesson Monday-Thursday by our YMCA certified swim instructors. How do you keep parent informed about camp? We will use emails to keep you informed about camp (especially before and after sessions). We also constantly update our Facebook page, so it is one of the best ways to keep up with us daily. The website will have information updated as well, but not as quickly as Facebook. If emergencies or other needs come up we certainly will call by phone. Do you send Pictures and videos to the parents? We do not send pictures and videos directly to the parents, but you will be able to access them daily during your children’s stay with us. You can look at past pictures and see them as they get updated on our website here: https://ymcacampcarter.org/photo-video/ . You can also find daily pictures and the link during the summer on our Facebook page. You can register online at https://ymcacampcarter.org/summer-camp/summer-overnight-camp/ for Overnight Camp or here for Day Camp https://ymcacampcarter.org/summer-camp/summer-day-camp/ . We use Daxko for our registration and collect additional information by online forms. You can also register over the phone or in house. Do you take trips? How many per session? We do not take trips, with the exception of our 13-15 year old day camp Leader In Training Campers who take a 1 day trip the last week of the summer and our overnight camp Counselor In Training 2’s who take a 3 night canoe or backpacking trip as part of their graduation from the program. 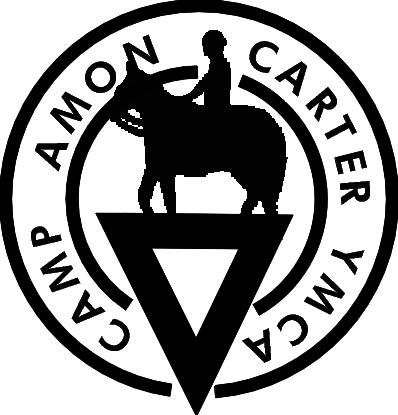 Camp Carter is a trip in itself, no need to go anywhere else when you stay with us! We have an Executive Director that lives on site. Camp programs are run by our Camp Program Director who works year-round preparing and running our Summer Camps and other camp programs. Under the Camp Program Director for Day Camp is the Day Camp Director, who oversees two Assistant Directors, our Leader In Training (LIT) Director, and 12 Day Camp Counselors. Under the Camp Program Director for Overnight Camp are two Unit Directors, two Counselor In Training (CIT) Directors, and 16 Overnight Camp Counselors. Also under the Camp Program Director are a Behavioral Specialist and the Camp Nurse. Besides the Executive Director and the Camp Program Director, Year Round Leadership and Support Staff also include our Business Manager, Our Facilities Director, Our Food Service Director, Our Equestrian Director, and our Director of Education & Retreats (who also oversees our Aquatics and Challenge Course areas), and each of their staff teams. Our Counselors are also trained as Activity Specialists for specialized activities like archery, challenge course elements, and riflery. Anything else I should know about your camp? We are in the middle of a Capital Campaign. We have built a new Program Pavilion and an Alpine Tower. Improvements to our Dining Hall complete with a new deck, a new Welcome Center, bridges over the river that passes through our camp and new trail systems will be coming over the next couple years. Can I take a tour of camp?